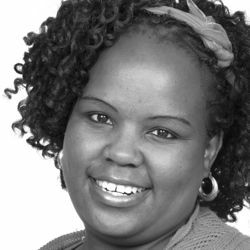 Annah Morifi joined HE2RO in April 2013 as a Data Capturer. Her duties include pulling patient files, capturing data, data cleaning and filing. She is currently working on the RapIT study and the paediatric orphan study. Prior to joining HE2RO Annah worked at the South African Sports Confederation Olympic Committee as a Receptionist and as a volunteer HIV/AIDS Admin Clerk in Edenvale Hospital. She also worked for Right to Care as a Data Capturer.